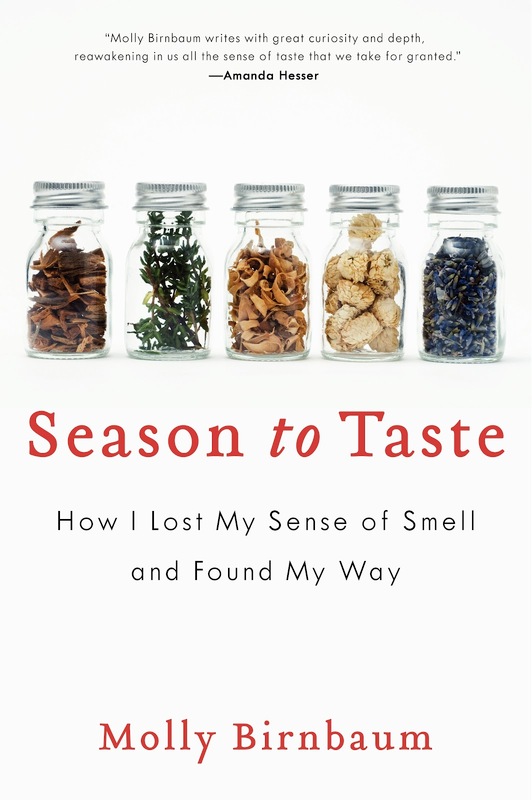 It’s been just about a year since Season to Taste was published here in the U.S. And what a year it’s been. All the travel. All the people. All the nice things that have been said. It’s been fantastic. And humbling. I’ve said it before, and I’ll say it again: Thank you. Thank you for all the support, all the encouragement, all of the reading and reading and reading. You guys are the best. And guess what? Paper. Back. 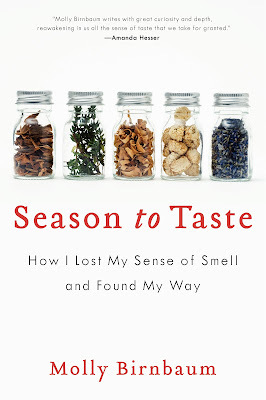 This week, Season to Taste was officially published in paperback! It’s lighter, less expensive, and has a new cover design, too. (I couldn’t love it more.) Check it out. And! I’ve never done this before, but I’m going to do it now, because I’m just so pumped: A giveaway. After all, a box of paperback Season to Tastes recently arrived in my office, all crisp and clean and smelling like new paper and fresh ink, and I want to share. To enter, leave a comment with your favorite scent. (Or your least favorite. Or your favorite scent memory. Or your least favorite. Or the first time you realized you couldn't smell. We're talking smell, folks!) On Wednesday, June 6th, I’ll pick two winners at random and mail you both a signed copy of the paperback. Here, I'll start. My favorite scent is that of the fresh herb, rosemary. It smells pungent and woodsy, warm and earthy, a deep dark green. I love that after working with the needle-like leaves, you can smell their fragrance on the tips of your fingers for hours. I love that rosemary was one of the very first smells to return when I was recovering from my accident. **UPDATE: Winners have been selected. Vanilla, I think, is my favorite for pure pleasure. Rain! I love the smell of rain and wet grass. The smell of a patch of Lilly of the Valley can stop me in my tracks. My favourite scent comes from tomato plants. That green, vegetal smell is something I wait for all year. Lavender always reminds me of being in France. I'm loving reading these! Keep 'em coming! I remember my whole preschool class charging down a Baltimore street and screaming, trying to outrun the putrid smell of crushed ginkgo seeds on the sidewalk. It's a horrible, nauseating smell but for some reason I am now very fond of the beautiful trees with their fan-shaped leaves that remind me of the wonder of being a little kid. My earliest memories of realizing that I had no sense of smell are, reading a scratch and sniff book with my mom and wondering why everything smelled the same and thinking that maybe the books just don't work. I also remember playing a game in my Kindergarten class where I'd be blindfolded and would pick an object from a bag and then asked to figure out what it was simply by smelling it. And that anxiety of hoping I wouldn't pull out perfume or hoping that I would pick something out of the bag, like a rock, that I wouldn't have to smell but could feel it and tell what it was. Unfortunately, I went home smelling of perfume and a memory of the confused look on my teacher's face when I told her that I couldn't smell. Molly, congrats on your book and I'd love to have a copy of the paperback! I think my favorite scent is bergamot, it reminds me of black tea and this amazing black tea candle I had when I first moved to Brooklyn. Those first few weeks were very lonely and the candle really kept me company and helped make my little bedroom seem very cozy. My favorite scent memory is without a doubt my mother's cooking early morning on Thanksgiving. I'd get up "early" at 10 or 11 to help her cook and she'd already have the turkey and stuffing going, it's an insane smell of butter and fat and just, warmth. Very fond memories. My favourite smell is mandarin. I love to eat and cook with it but I also search the globe looking for products that I can lather my pasty white frame in too. I have a friend with no sense of smell and I really feel for her when we are in a bakery, or an italian deli. On the upside, she is my favourite friend to exercise with! Lavender is a favorite scent of mine. It reminds me of the summer after I finished college. And of the lavender farm I visited on the cape. And of the lemon lavender marmalade I made soon after that visit! When I smell a clove cigarette I'm back in college, wearing Doc Martens, listening to Seattle-based grunge rock, planning political protests and falling in love. i love the smell of my mother's kitchen: spicy and sweet, fresh and clean; it holds the scent of accomplishment and promise. it's the smell of home. I love the scent of sage. Especially when it pops up on a hike. It suits the mood in the kitchen and in the wilderness. Congrats on the paperback, wonderful that the story continues! I love the smell of lemon verbena. It's lemony and vegetal at the same time. Lemon verbena ice cream is swell and lemon verbena in fruit compot or salad is divine. You can use it in place of lemongrass in Vietnamese cooking. Another favorite smell that I will probably never smell again is a stack of paper just out of the ditto machine. I went to grade school before xerox machines were common and the teacher would print tests with the ditto machine that had that characteristic purple ink and delicious smell. I change my mind all the time, but vanilla is definitely a top contender. I love to bake, and that aroma is wrapped up in all that's good and warm from the oven. The smell of jasmine flowers when they just bloom. So heavenly! I love the smell of coffee... also, the smell of a campfire or grill in a forest of pine - the mix of those smells is so unbelievably perfect. I love the smell of just-picked cucumbers, fresh from the backyard garden -- the kind that still have white spikes on them and probably taste bitter at the ends. Lilacs. I love to bury my nose deep in a bouquet and inhale the beautiful scent - it always reminds me of a talcum powder my mother wore, and sometimes she would let us dust ourselves with it. It was so special. Hinoki (Japanese cypress). I wear a cologne with this scent and have soap scented with Hunoki. Takes you to the mountains of Japan while soaking in tubs made of this beautiful wood! I like the smell of first rain. Of the fritters fried in hot oil. of frangipanis and dark chocolates. Fresh baked cinnamon buns make me swoon! I love the smell of Vertivert, and Lavender, Clary Sage as well. Some day I'll find a good perfume that combines the three. Congratulations on the printing of the paperback! Go you!! My favourite scent is my teddy. I've had him since I was four and was going into the hospital for surgery number #3 (of 17). I remember pressing my face into his belly and *not* smelling that anesthetic, overly clean hospital smell. He's been my constant surgery partner, roommate, and travel companion over the years. There's probably a mixture of talcum powder, perfumes, spices, medication, what name you on him now, but it's still my favourite scent. I love the smell of forest dirt. Woodsy, mossy, wet, sweet, and if you're lucky a pinch of chantarelle, because one is growing out of the dirt near your nose as you scour the forest floor in search of golden treasure. Fresh peonies from my garden. They don't last long and the fragrance fades, but for a few days they are heavenly! If I'm not too late, it'd have to tack stores. Or, more specifically, new leather. Not at all animal friendly, but the scent makes me swoon.